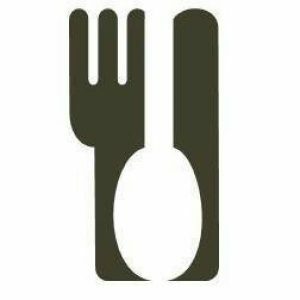 I met-up with a fellow food blogger recently. She told me about a Turkish restaurant on Overlea that was a must try. Now, I absolutely love Turkish food. Thing is, I know of very few places in the city to indulge. 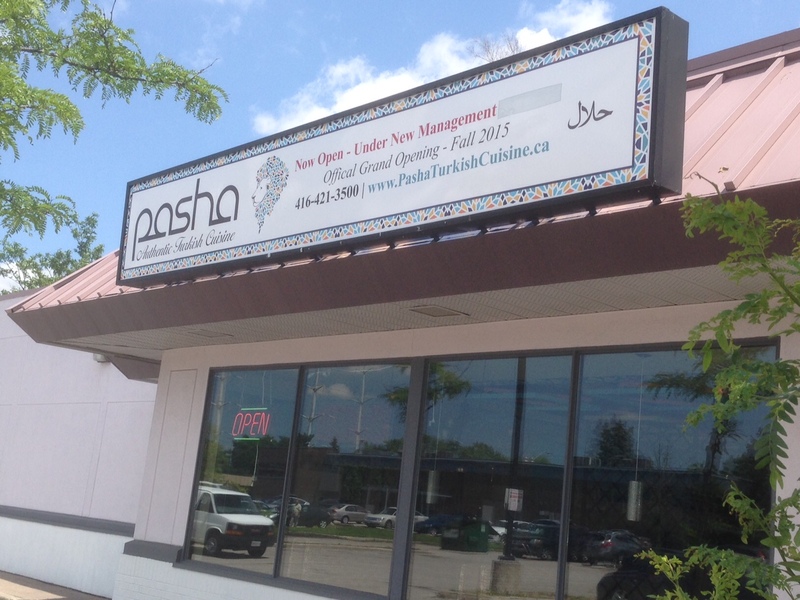 So glad we found Pasha Authentic Turkish. It’s a super friendly, family-run place that serves-up some very, very tasty eats. We start by ordering a Gavurdagi Salad. We’re told it’s an important part of the meze spread at kebab houses in Turkey. We quickly see why. 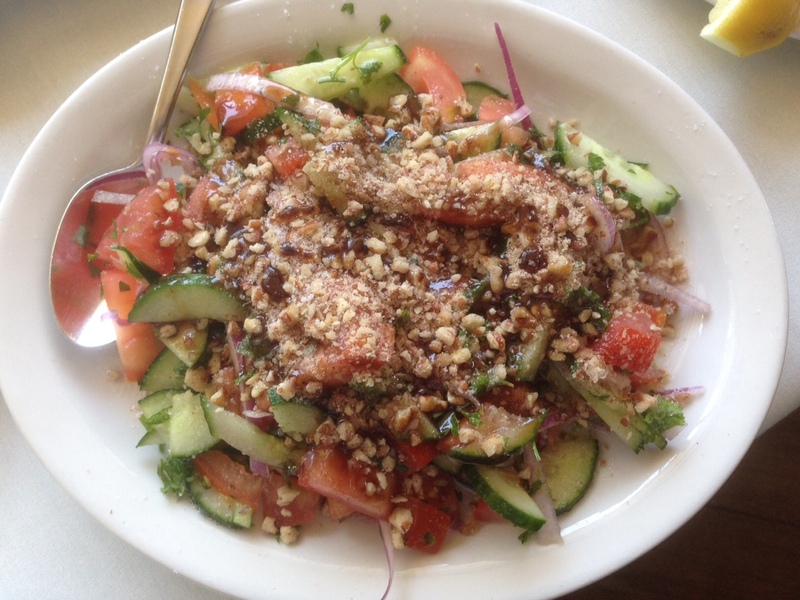 Tomatoes, cucumber and red onions are chopped then tossed with walnuts, pomegranate molasses and sumac. There’s lots going on here in both the flavour and texture departments. 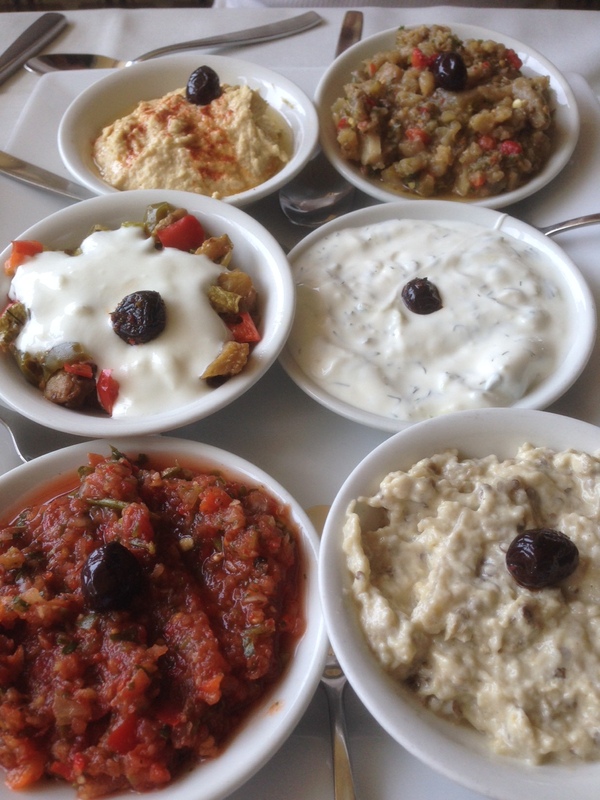 Speaking of mezes, the Cold Appetizer Sampler is a must try. You get a generous serving of hummus and patlican salatasi (Eggplant salads). But what really stands out for me are the Cacik (yogurt, herbs, cucumber, garlic, salt, olive oil, dill and lemon juice) and the Acili Ezme (a salsa-like blend of chopped tomatoes, onions, chili peppers, parsley, EVOO, pomegranate syrup and lemon). I am full after the first two courses… and it turns out that we’re just getting started. I still can’t believe what came out next. Their mixed grill is a veritable pantheon of BBQ’d meats & veggies. 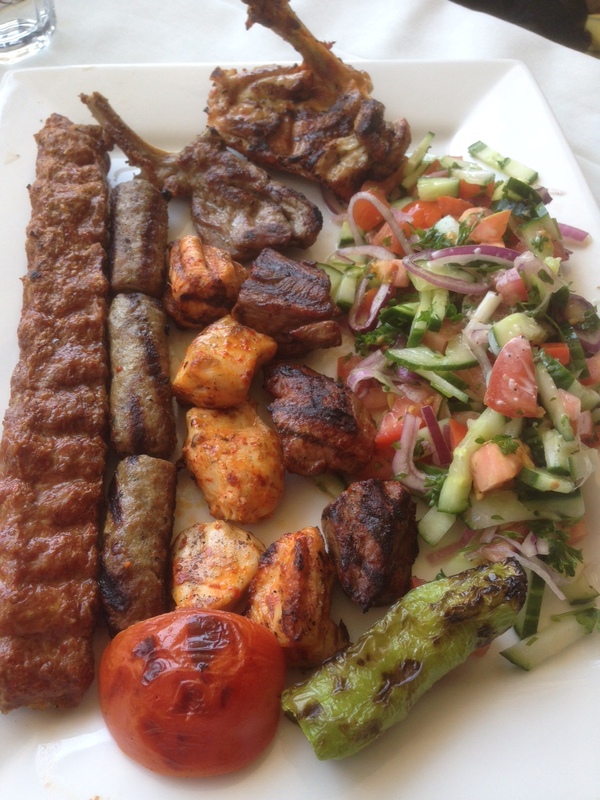 Adana kebab, sujuk, chicken, lamb and beef are piled high alongside charred tomatoes, chili peppers and a cool chopped salad. I wrap up a number of different meat/mezes/salad combinations in the fresh-baked flatbread that keeps getting replenished. 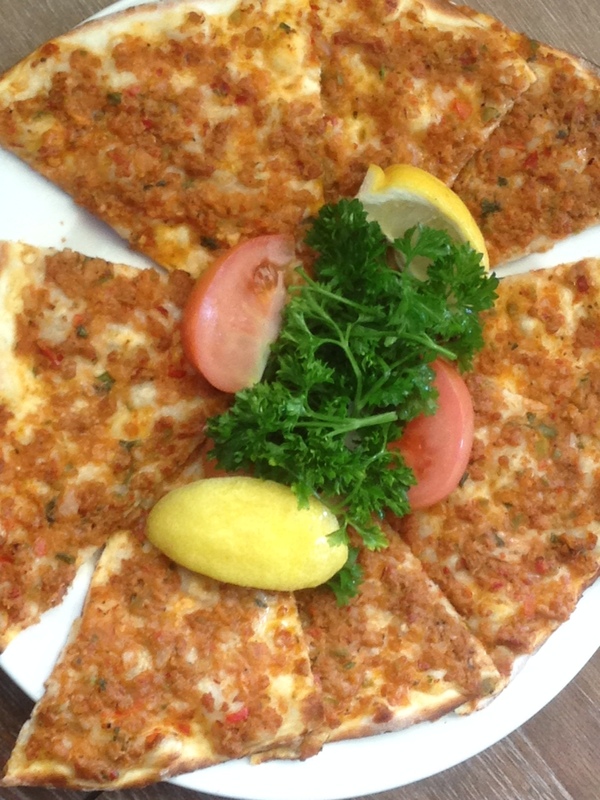 There is so much food on the table, it was actually laughable when they brought out the Lahmacun and Pide. They were both absolutely delicious, but we ended-up taking most of the slices home. I am really looking forward to returning to Pasha Authentic Turkish again soon to try their Manti (boiled lamb dumplings with sour cream) followed by some Kunefe for dessert (think baklava filled with cheese). Both just so happened to be sold out when we visited… a result of the Iftar the evening before. Thanks so much for lunch, Joanna Sable. Really nice to see you again, Bonnie.